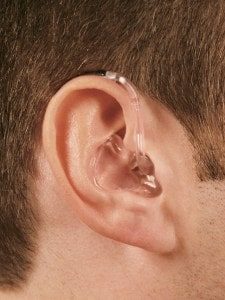 If your hearing loss is becoming a severe issue, you may want to start considering your investment in a hearing aid. Have you been struggling with your hearing? Is it becoming increasingly difficult to simply make it through the day? If your hearing loss is becoming a severe issue, you may want to start considering your investment in a hearing aid. It may be a bit startling at first, because nobody wants to believe that they need aid with their hearing. However, it’s a device that can practically change your world. A lot of factors come into play when making this consideration, such as the price and its overall effectiveness. The truth of the matter is that hearing aids are worth the investment. When your hearing slowly starts to fade away, it can be a shock to the system. It’s more than just turning devices up louder so you can hear. The true cost is losing something that has always been a basic function. The cost of not being able to have a normal conversation with your friends or family. The frustration will set it quickly, and it could eventually lead you to feel isolated. With a hearing aid, you’ll be able to retain normalcy. With a loss of hearing, simple tasks become stressful. Things can become overwhelming, especially in public settings, where nobody knows about your condition. Constantly having to ask someone to repeat what they said can become irritating for you, and you’ll start to avoid situations for this very reason. Your mental health may suffer as a result, but with a hearing aid your confidence will skyrocket. By investing in a hearing aid, you’re taking a step that will improve your daily life and activities. Through the technology, you’ll be able to continue without any setbacks. It will also improve your concentration, as you won’t spend so much time and energy listening to figure out what people are saying to you. Hearing is precious, and maybe we don’t recognize that enough until it slowly starts to fade away. That’s why, if it does fade, it’s important to use a hearing aid to regain it. Let Bay Area Audiology Provide You With The Best Hearing Aid For You! This entry was posted on Friday, August 11th, 2017 at 5:23 pm. Both comments and pings are currently closed.